The Breaking the Silence and the New Israel Fund NGOs held an anti-Israel seminar and book launch in Melbourne Australia. 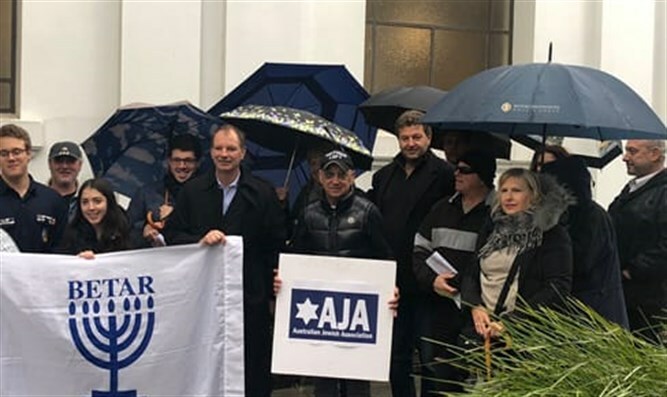 Several dozen members of Betar Australia protested outside the event. Neria Meir, the head of World Betar, said: "After losing its legitimacy in Israel, Breaking the Silence and has moved on to inciting world Jewry against the IDF and Israel." "Beitar places an iron wall against the treacherous pursuit of Breaking the Silence. We will not allow this transitory organization to harm relations between Israel and the Diaspora. With courage and glory, we will defend the integrity of the country and the state," Meir added.